As we get older, we tend to like to forget our birthdays. I’ve always said I stopped counting after 30. Things couldn’t be further from the truth for kids. A birthday is like Christmas’ first cousin, but even better. It’s a child’s own special day. No one can take it away from her. She may have to share it with a person or two, but it doesn’t matter. It’s still her birthday. Believe me, kids know when it’s their birthday. My older daughter turns 6 this week. She’s been talking about this birthday ever since last birthday. She knows she wants bacon for breakfast and lobster for dinner…yes, lobster. I know, it’s obnoxious that a 5 year-old eats lobster, but we deal. Sure, it can get a little much, but that’s okay. It truly does warm your heart to see a child’s face just light up with excitement and anticipation. Of course as a child gets older, she is more aware of what a birthday can mean…a party, presents, special food…it’s all a part of the package if they’re lucky. I always tell my daughter not to expect too much because then you may get disappointed! While kids are dreaming of presents and chocolate cake, birthdays take on a new meaning when you become a parent. If you’re anything like me, you find birthdays bittersweet. Of course their birthdays are fun. But, my kids’ birthdays are always a time for me to think about just how fast they’re growing up. While it may sound cliché, time flies and they get so big in the blink of an eye. Each birthday I can remember each of their births like they were yesterday. I can remember the exact moment when the doctor placed each of them in my arms for the first time. If I close my eyes, I can almost fell their baby soft skin. Each year when they blow out their candles, I wonder what, if anything they’re wishing for. Whatever it is, I hope it comes true if it makes them happy. As a mother, I always make a little wish for them too as they blow out their candles. Of course I never tell them. You know what they say, if you tell someone your wish, it doesn’t come true. As they get older, I know they’ll want a lot more than bacon and lobster…although I can’t imagine a fancier meal! For now, though, I’ll take it. You go into the mall. A salesperson tries to spray you down with the latest fragrance. You feel like you need a shower. It’s annoying. 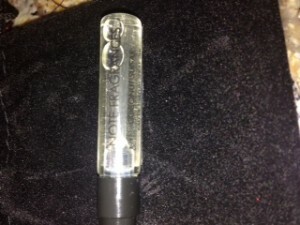 Or how about this one…you test out a fragrance in the store. It smells pretty good there. Once you get home, it makes you feel sick to your stomach. This is annoying too. So, instead of going through all that hassle, why not customize your fragrances from the luxury of your own home? Why not get scents that truly suit your likes? 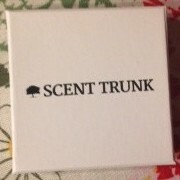 If this sounds awesome (because it is), then you need to give Scent Trunk a try. If you’ve never heard of it, you’re not alone because I hadn’t either. But, once I did, I found it to be a useful and pretty nifty site. You log on and create a scent profile according to your likes. Then you subscribe to the service to get unique and personalized sample-sized fragrances delivered to your door. Sounds pretty easy, right? It is. My scent profile showed I like a lot of fresh scents like jasmine and pineapple. 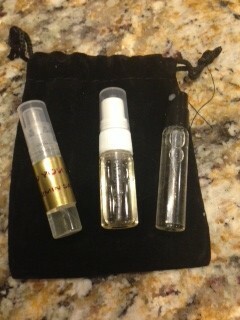 When my Scent Trunk delivery arrived in its nice little box and pouch, I got Coconut Sugar, How You Love, and Pavane No. 1 as my samples. I have to say my favorite is the Coconut Sugar. It has a nice scent that doesn’t leave you sick to your stomach. The other two are good as well, but the Coconut Sugar is definitely my favorite. What if I get sick of these scents? I can always update my scent profile to go with my current favorites. The best part is I don’t have to go to a cosmetic counter and spray a dozen different perfumes to find one I like. Scent Trunk is a great resource if you like fresh fragrances tailored to you and don’t want to shop around with a “trial and error” method. *This is a sponsored post. I was compensated with the product to complete this review. My 5-year-old is a food critic. She pays attention to every detail of each dining experience and has a comment about everything. While some people may think this is obnoxious, my husband and I find it hilarious. The really funny thing is that most of the time she’s right! Case and point. We walk into a rather new restaurant and get seated. We get handed our menus. We decide what we want. We wait. And wait. And wait. No one has come over to even acknowledge us. She’s right. We’ve been sitting for nearly ten minutes and no one has come over. It really does border on poor service and my kid knows it. Thankfully she doesn’t say it too loudly because just as she gives her first critique, the waitress finally comes over to take our drink order. Of course my daughter is all smiles. Little does this waitress know she’s being watched by one of the harshest food critics on the east coast. OMG! This kid doesn’t quit. But, once again, she’s kinda right. The waitress kinda seemed like she was either tired or didn’t want to be there. My kid picked up on it right away. I just nod my head in agreement. When the waitress comes back to take our food order, both my daughters ordered for themselves. The waitress just looked at them as if they were speaking another language. My daughter gives me that “what’s wrong with her?” look. I pretend not to notice. Instead I translate for the waitress so we get the right food. God forbid the wrong stuff comes out! So now we wait for our food. And wait. And wait. Then little sis chimes in too. My mini-food critic in training. I try to tell them to be patient, but I’m hungry too and it has been a long time. Thankfully once the food finally arrives, it’s actually pretty good. Both my kids eat without complaints. While this may not make up for the slow service, it certainly is a brownie point. Now onto the ice cream that comes with their meals. They order chocolate. Another waitress brings out vanilla. They stare as if they were just handed a bowl of boogers. We tell this new waitress we ordered chocolate. She tells us they don’t have chocolate. That’s all fine and dandy, but why didn’t our waitress tell us? That’s a strike. My kids eat their vanilla ice cream. It is ice cream after all. When we’re all done, I ask my little food critic what she thought. Lol, from the mouths of babes! 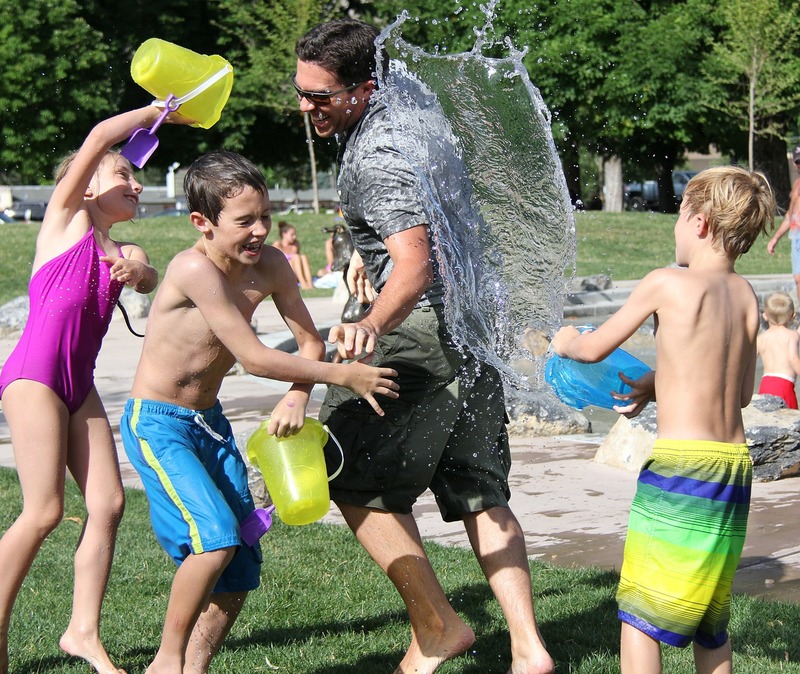 Can We Stop Complaining About Our Kids Being Home All Summer? The kids are home for the summer. The summer is long and hot. Kids can be a handful at times with all their neediness. Since all of this is not rocket science, can we stop complaining about our kids being home for the summer? I’ve been reading so many Facebook posts, tweets, and blogs about parents whining about how they can’t wait for school to start again. Parents complaining about their kids being home for the summer. Parents complaining about kids being bored. Parents complaining about having to entertain their kids. Parents complaining about having to wake up their kids for camp. Parents complaining how the kids being home cuts into their time. Quite frankly, parents complaining about being parents. 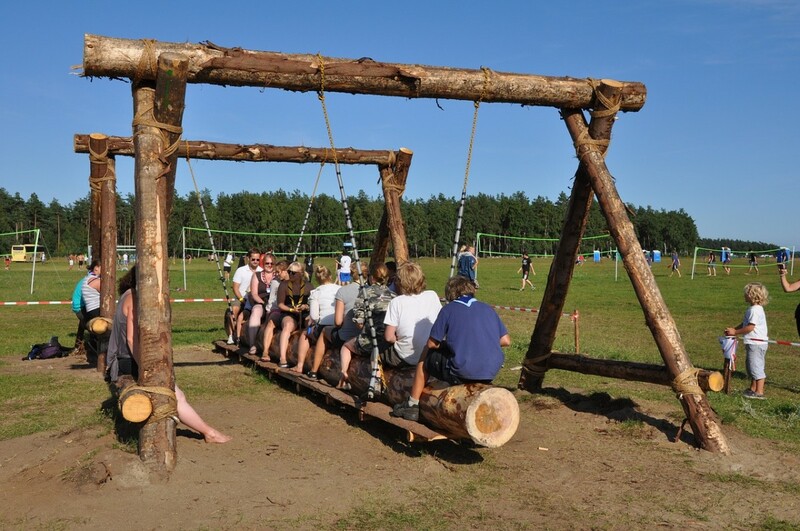 Sorry school is not open year-round to keep your kids busy. Sorry if I hurt your feelings, but I think it’s the truth Ruth. I can count on one hand the number of things I’ve read about parents actually being happy to spend extra time with their kids or parents who are actually happy about taking family vacations. Are there any parents happy about taking advantage of five-dollar Tuesdays to catch a movie because the kids don’t have to be in bed early? 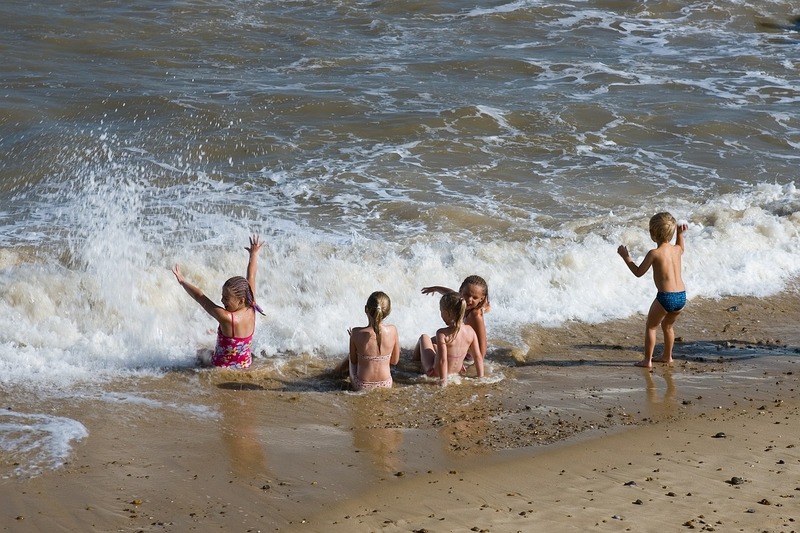 Are there any parents who are happy about spending a late Sunday evening at the beach? Anyone? If you’re out there, let your voices be heard! 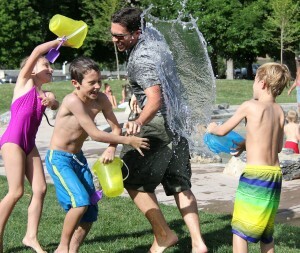 Did you ever think that if you stop complaining you may actually find some joy in having your kids around for the summer? I am a true believer that kids feed off our energy. If all we’re doing is spewing out negativity with our complaining then it should come as no surprise that our kids are going to be whiney little minions too. Don’t get me wrong, there have been days this summer when I’ve yelled at octaves higher than an opera singer. I’ve punished and threatened to take things away. There’s been tears. There’s been timeouts. It’s not all ice cream sundaes and smiles around here. But, we manage to enjoy the summer and each other. There’s been days when trying to figure out how I am going to get all my stuff done becomes more exhausting than actually getting it done. But, it all gets done somehow, even when the kids are lurking 24/7. Honestly, I enjoy having my kids home for the summer. It means not rushing to get ready for school. It means no drop offs, pick-ups, or half-day nonsense. It means no homework. It means no rushing to get dinner, bath, and bedtime done at a reasonable hour. It means no soccer practices or soccer Saturdays. It means no Friday night Girl Scouts where I’m trying not to draw blood as I help my daughter make crafts. It means no PTA meetings or volunteering. It means relaxing and having fun!! 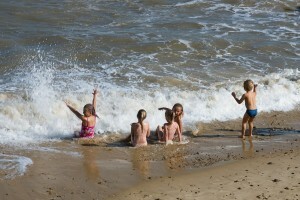 Here’s a wild and crazy thought…why not save your whiney pants for when the kids are in school? If you feel the need to complain, it seems like there’s more to work with during the school year. Just sayin’. Better yet, why not throw away your whiney pants for good? Trust me, you’ll thank me later.